Guideline for newbie: Forte System! Forte level can be increased by inlay "Forte stone". There are 4 kinds of forte stone including ATK, DEF, SPD and HP. 2. 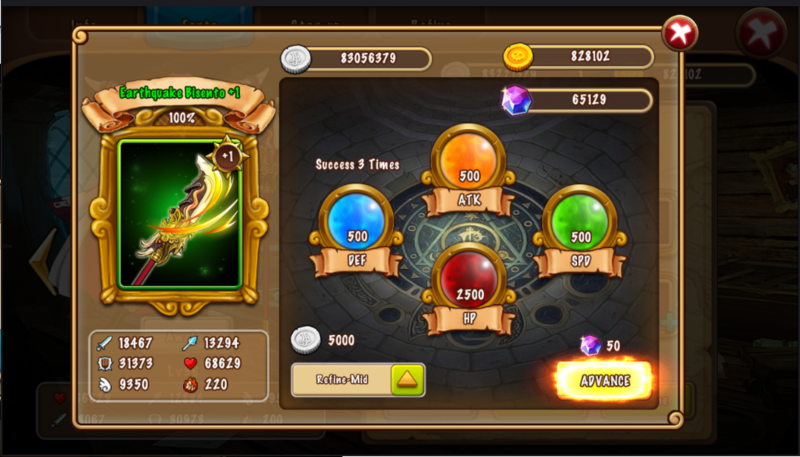 How to Increase Forte Level? Forte level 1 need to fulfill all those forte stone types (level 1) to level up (free). However, the higher the forte level, the more forte stone it need to fulfill (for example, forte level 2 need 2 ATK forte stone lv2, 2 DEF forte stone lv2, 2 SPD forte stone lv2, 2 HP forte stone lv2, as well as level 3 need 3 stones and so on). 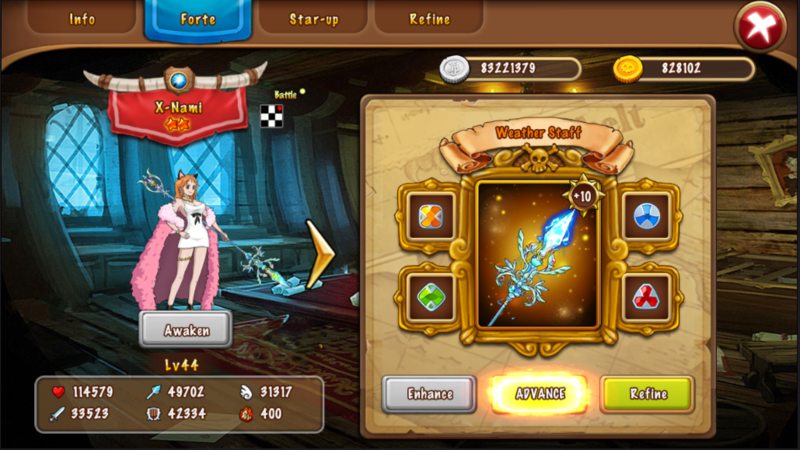 - Refine help you greatly increase your heroes' stats. 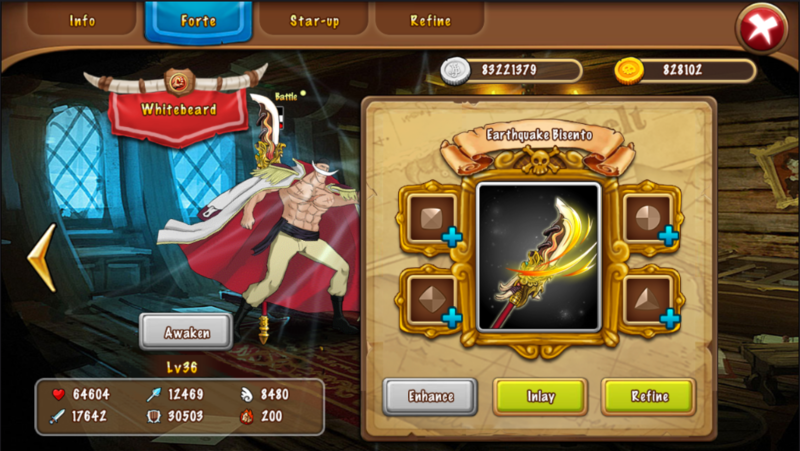 - All Captains need tons of "refine stone" to refine forte. - There are 3 options you can choose to refine including normal class, medium class, and high class. Medium gives 30% chance to crit (x2) your refine effect and cost you 5000 beris / time. 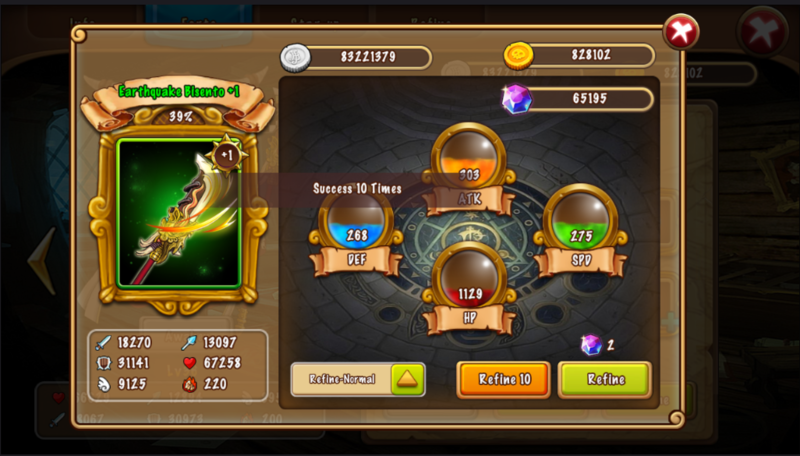 High class give 50% crit and cost you 20 gold/time. 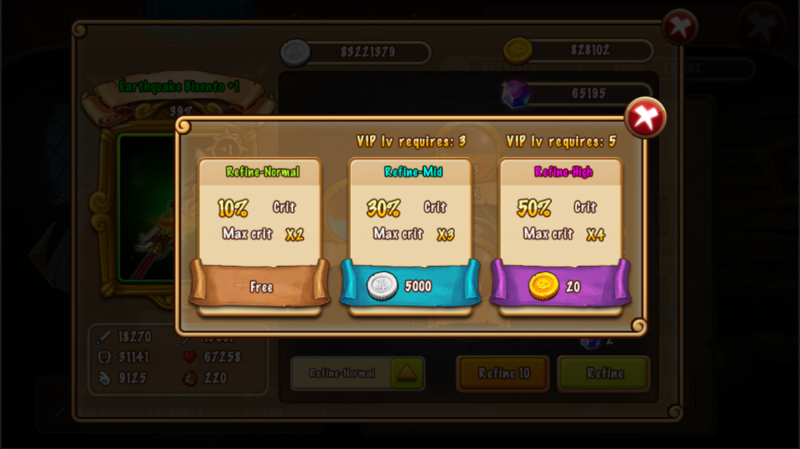 Since your forte level increase, the number of "refine stone" needed for every single time also increase, you may choose different refine class wisely for optimization. - When the refine orb full, let's advance! The higher the forte level, the higher refine level can be (larger stats' increase scale). This feature is coming soon in the next updates. Be patient, try hard and become the King of Pirates! Hope you have a great journey. Set sail and claim your Victory, my dear.